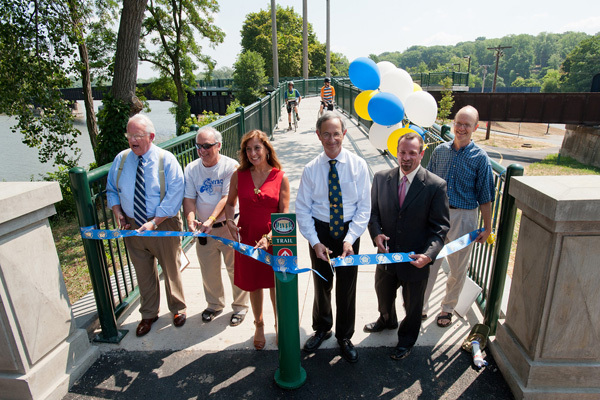 Rochester mayor Tom Richards, Richard DeSarra of Rochester Cycling Alliance, councilwoman Elaine Spaull, President Joel Seligman, Assemblyman Harry Bronson and David Knoll of Plymouth Exchange Neighborhood Association participate in a ribbon-cutting ceremony for the recently completed Erie Lackawanna railroad bridge over the Genesee River July 23, 2012. 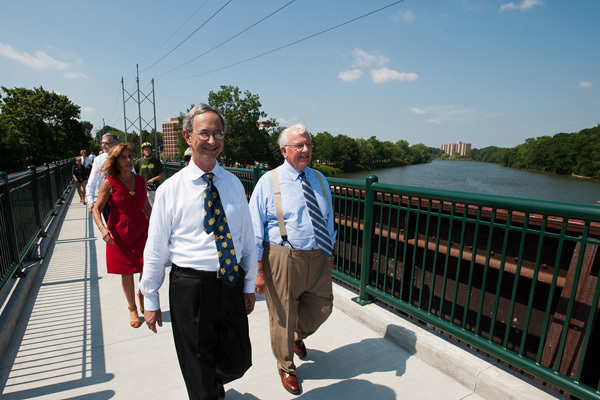 President Seligman and Mayor Richards walk across the newly dedicated Erie Lackawanna pedestrian bridge. 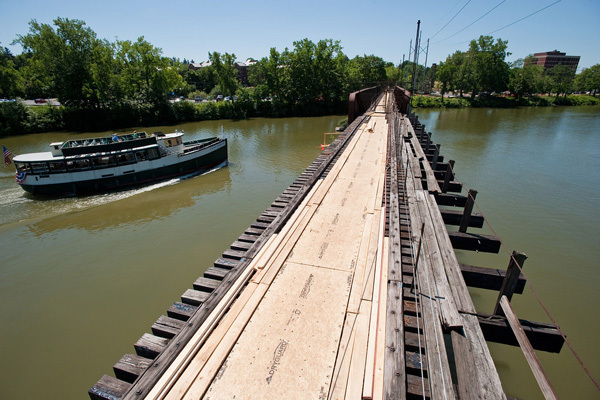 The historic wooden vessel The Mary Jemison steams up the Genesee River past the new pedestrian bridge while the bridge undergoes a conversion into a Rails-to-Trails bridge. 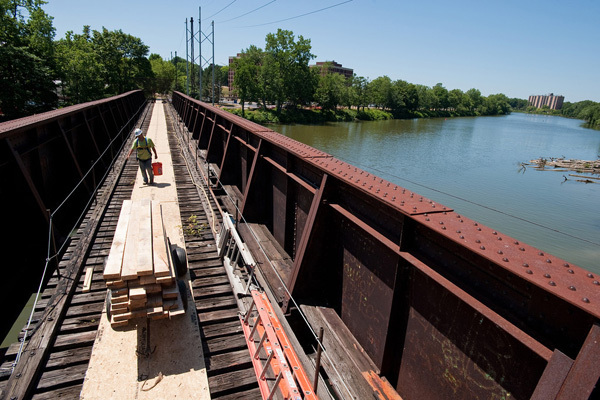 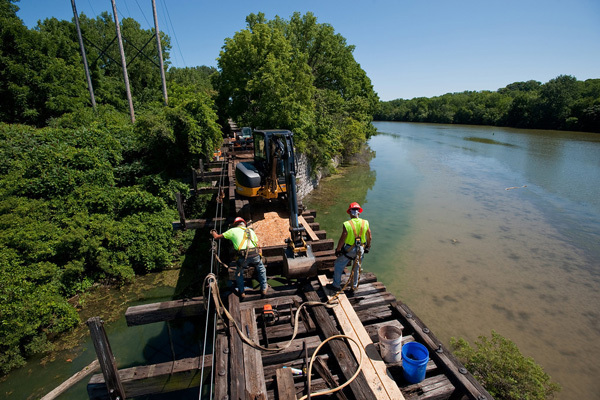 Earlier in the summer, contractors prepare the Erie-Lackawanna Railroad Bridge over the Genesee River for its conversion into a Rails-to-Trails pedestrian bridge. 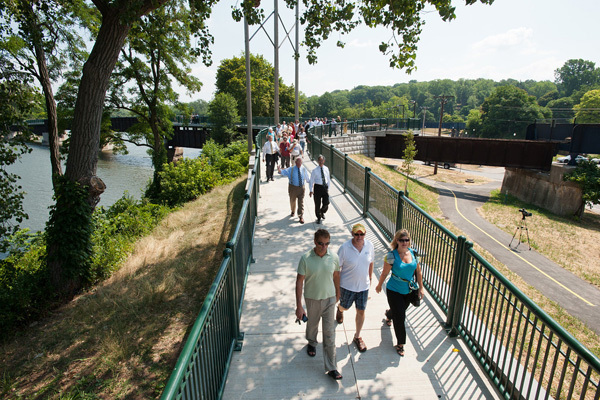 President Joel Seligman joined Mayor Thomas S. Richards, City Councilmember Elaine Spaull, and members of the Rochester community to celebrate the official opening of the Erie Lackawanna Pedestrian Bridge. 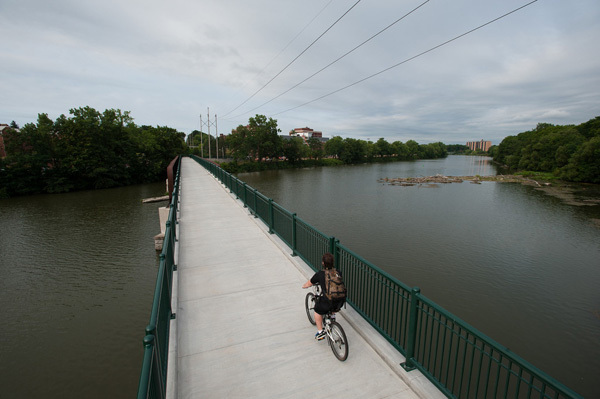 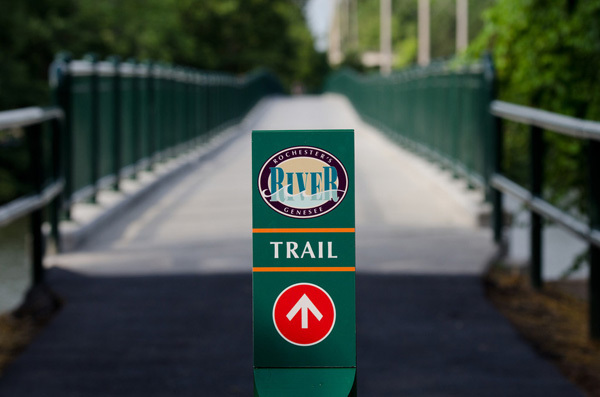 The newly renovated railroad bridge, which is now open to walkers, joggers, hikers, bicyclists, and more, spans the Genesee River approximately 1.5 miles south of downtown Rochester, linking the east and west banks of the trail and establishes a new access point between the University's River Campus and Southwest Rochester neighborhoods.